Stop kicking the table!…Don’t blow bubbles in your milk!…Quit banging the silverware!…Be quiet!…GET OUT FROM UNDER THE TABLE!!! Sound familiar? Is dining out with your kids a pleasure or a nuisance? If your restaurant vocabulary is loaded with words like Quit, Stop, Don’t, and No, allow me to introduce the Yes Bag. The Yes Bag comes in whatever color or design you prefer. 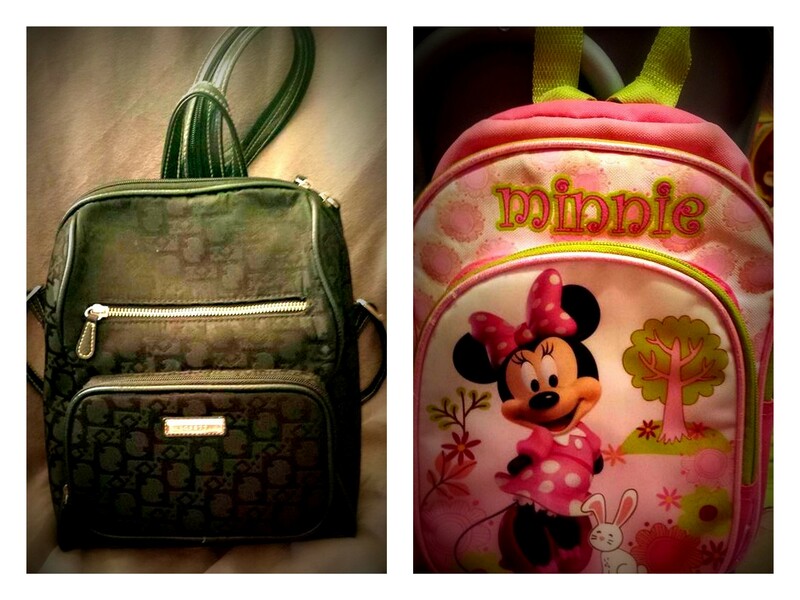 Anything smallish, sturdy, and preferably with straps (so that a toddler or preschooler can carry it) will work. Now, you’re going to load it with engaging, educational items. I have a list of suggestions below, but first, a few musings. A little planning pays off. Dining out before kids was fun. It was easy. But face it, you’re a parent now. It will be a few years before your child sits politely in a restaurant without some help from you. If you’re going to take your kids to restaurants, set yourself – and them – up for success. It’s SO much easier to get an activity from the Yes Bag than to snarl and plead with them. Swap out the items periodically. Keep it interesting. That doesn’t mean you need to buy new toys. Just keep an eye out for things around the house that would go nicely in the Yes Bag. Set them aside for a few weeks. Your child will be pleased to see them reappear. The Yes Bag is only for going out. Store it out of sight in a closet or on a high shelf. 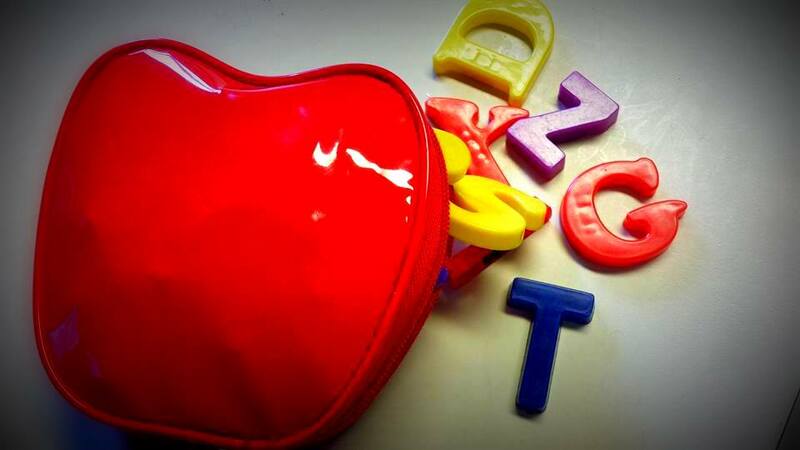 If you bring items your child is used to playing with all the time, The Bag will quickly lose its appeal. Designating it for going out raises the novelty and intrigue of the items inside. Choose items that teach manners. Respect other diners by leaving noisy toys at home. Also exclude toys that may require your child to get out of her seat (such as balls.) Only use electronics as a last resort. We know screen time has a negative impact on children’s brain development, but it’s also bad manners to neglect your dining companion(s) in favor of technology. Figurines/Characters. Give the characters a dialogue or use them to tell a story. Have them stand on their heads or hide under a napkin. The possibilities are endless! Letter Magnets. Not only did my son discover every magnetic surface in my chiropractor’s office, I truly believe that this little pouch of colorful magnets is one of the reasons he learned to read at an early age. He would dump out all the magnets, alphabetize them, and ask how to spell words. If your child isn’t ready to alphabetize or spell, help him sort the magnets by color. Say the letter names or make the phonetic sounds for him. PlayDoh. I have a friend who brought PlayDoh to restaurants for her kids and they loved it. 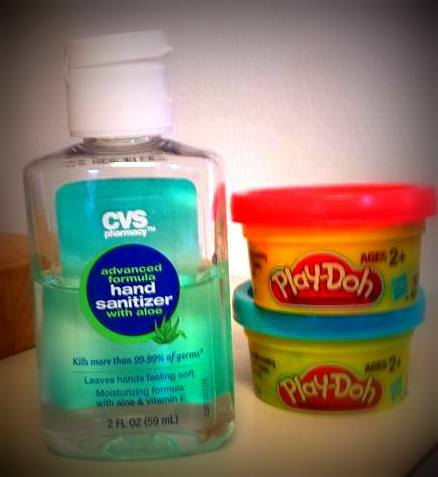 I was kind of grossed out at the idea of the kids putting their hands in germ-infested PlayDoh, then immediately touching their food. And repeating the process at the next restaurant. Thus, the hand sanitizer you see pictured here. 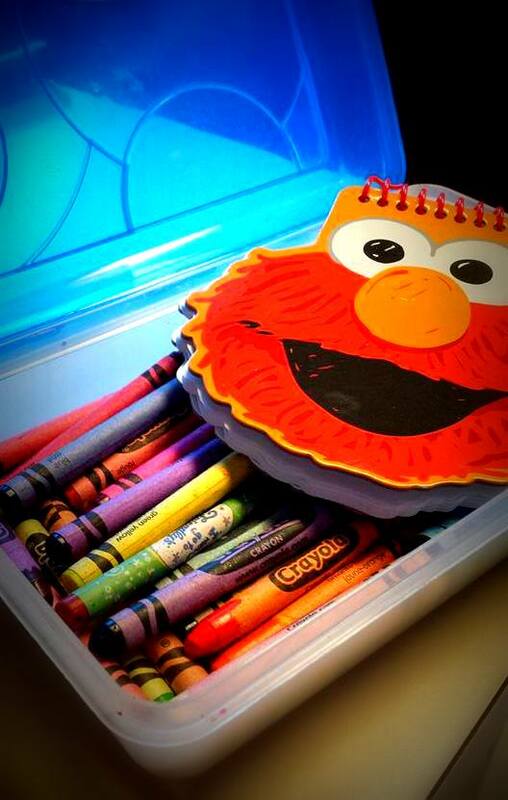 Pencil Box with Art Supplies. 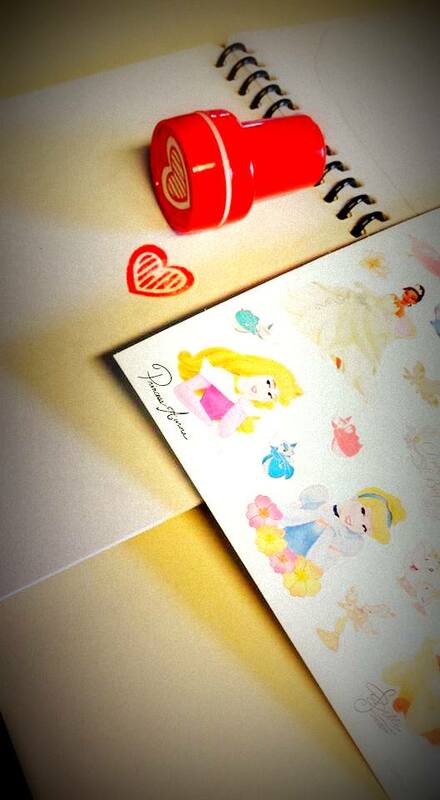 Include a small note pad, crayons, stickers, and stamps. Manipulative Toys. 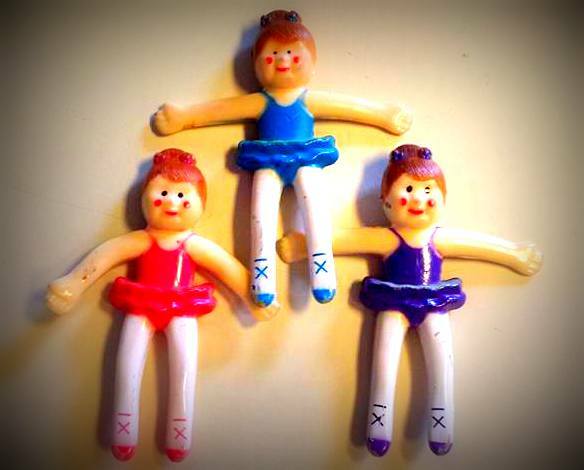 One toy manufacturer says that manipulative toys “help children to improve their motor skills. 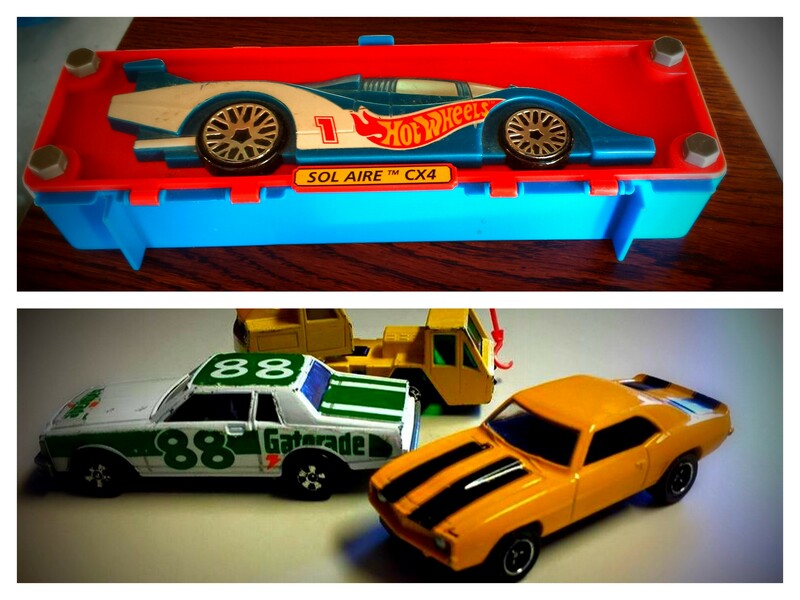 Kids use these toys to learn about their relationships with the physical world and how they can interact with it.” My son enjoyed a travel-size case of Hot Wheels. My daughter was a fan of trying on bracelets. 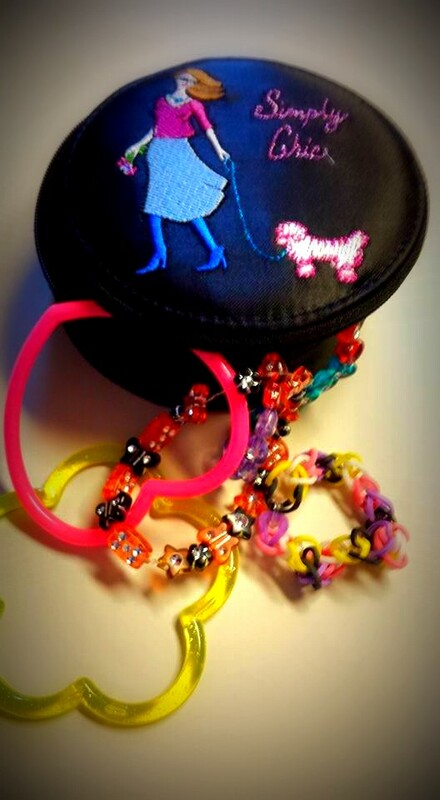 When she was small, she had a bracelet with a tiny bell that jingled quietly. Watching her enthusiastically wave her chubby wrist was hilarious. 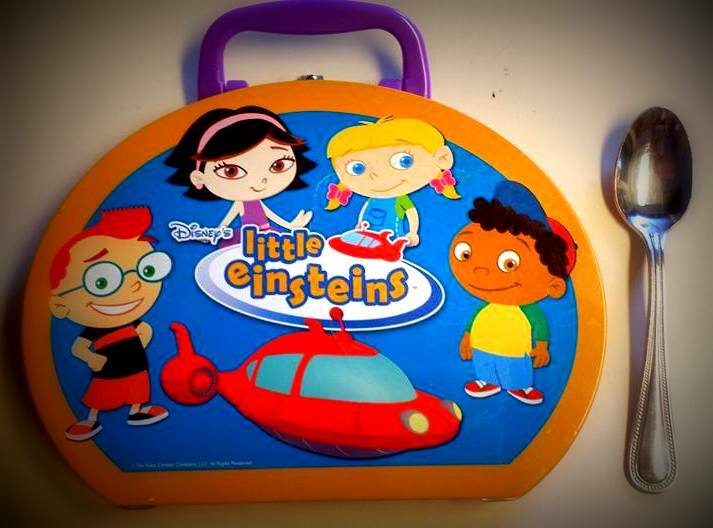 Both kids loved this self-contained Little Einsteins magnet case below. Picking up the thin magnets inside was great for developing fine motor skills. Not only can you keep your kids engaged in restaurants – they can be learning too! And what if you don’t have the Yes Bag? If you spontaneously decided to go out, fear not. I have suggestions! Play “I Spy.” Modify it for your child’s age and ability. If she’s still learning colors, keep the playing field limited to a small space. “I spy something red” might be the lone bottle of ketchup on your table. Make it more challenging as your kids get older. Looking for letters, shapes or colors is great for preschoolers. Finding more sophisticated colors (chartreuse, sepia, turquoise) broadens an elementary student’s vocabulary. “What’s Missing?” is currently my kids’ game of choice for restaurants. 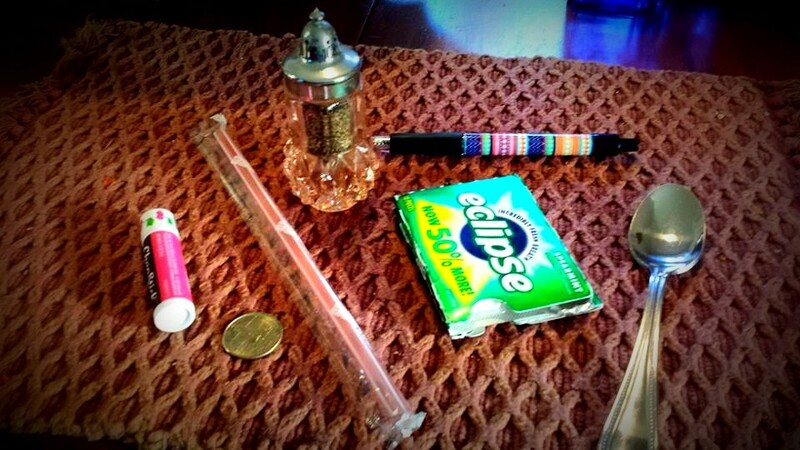 Grab a few items from your purse, pockets, or the table. Place the items in the middle of the table. Everyone else closes their eyes while the youngest removes one item and puts it in his lap. When the other players open their eyes, they guess what item was removed. You can do all kinds of varieties on this game too. Remove more than one item. Add – instead of taking away – an item. Or, don’t remove anything, but switch the positions of two objects and make the others guess what got switched. My kids are 5 and 8. They love this game so much that they request it before we’ve even had a chance to look at our menus! Sort sugar packets. 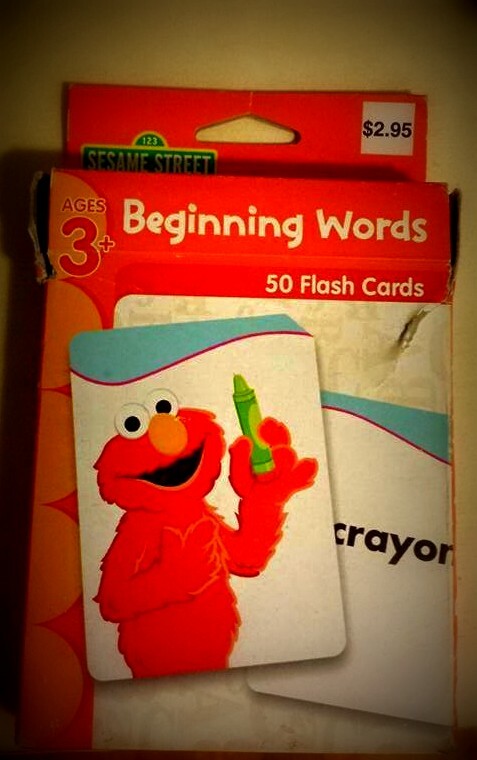 This is great for toddlers and preschoolers. (Again, sorting and fine motor skills are being practiced!) 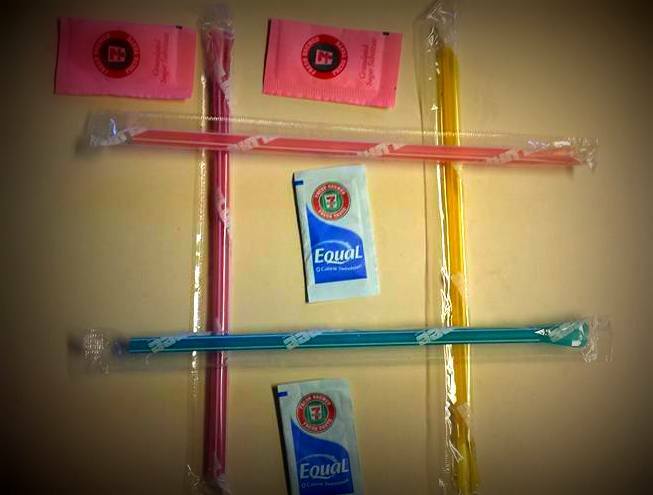 Sort the packets by color and neatly arrange them in the holder. Play Tic Tac Toe. Use your straws or straw wrappers to create the board. 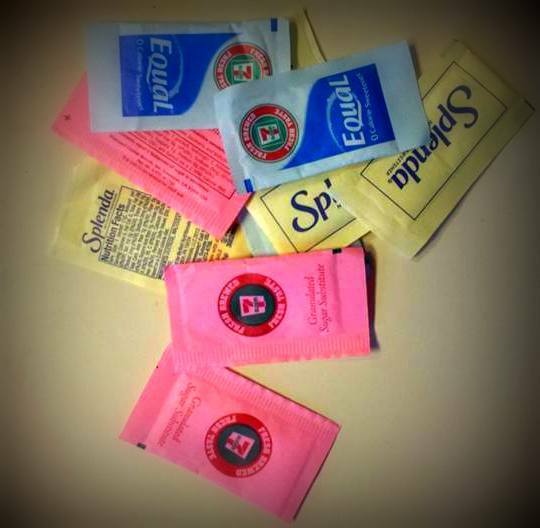 The sugar packets serve as X’s and O’s. This keeps elementary-aged students busy for quite a long time! As your family sits and quietly visits at restaurants, you are modeling etiquette and acceptable social behaviors for your child. Behaving appropriately in public will eventually become second nature to them. One night, my family sat in a booth at Culver’s eating dinner. After a few bites, my 4-year-old daughter said she was full; the rest of us kept working on our meal. It took a few minutes for me to realize that my daughter was being very quiet. I looked over and saw her holding up two french fries. The fries were “talking” to each other and doing a dance. Through our coaching during previous dining out experiences, she had learned about acceptable behaviors and created her own activity accordingly. Having used the Yes Bag (or some variety thereof) for 8 years, our kids’ behavior has generated compliments from other diners. I tell you this not to boast about my family, but to say that the Yes Bag works. Giving your child options – things that he CAN do, rather than the things he CAN’T – will result in a much more pleasant dining experience for you and for your kids. Give it a try. And if you’d like to suggest other items to put in the Yes Bag, please feel free to comment below. Love this idea. Cannot wait to put together my yes bag. Yay! I hope it helps your family as much as it helped mine. Thanks for the feedback.